Guatemala Green is a serpentine green marble and from its deep green color sprout bright white veins that transport us to the landscape of mangroves and tropical jungles. This natural stone pays tribute to the paradisiacal Guatemala, a land with a rich native culture, bathed by the Caribbean Sea and the Pacific Ocean. The serpentine, one of the minerals that compose it, has been considered magical by some of the indigenous tribes granting it healing power and an element of wisdom, hence its enigmatic and so magnetic character; for these reasons Guatemala Green marble has captured the attention of illustrious architects and interior designers from all over the world, who have used it in natural stone pavements and luxury hotels. It brings a beautifully wild look to interiors, bathrooms, kitchens, countertops, and showers. TINO Collection standard surface finishes are: Polished, Honed, Domus and Sandblasted. 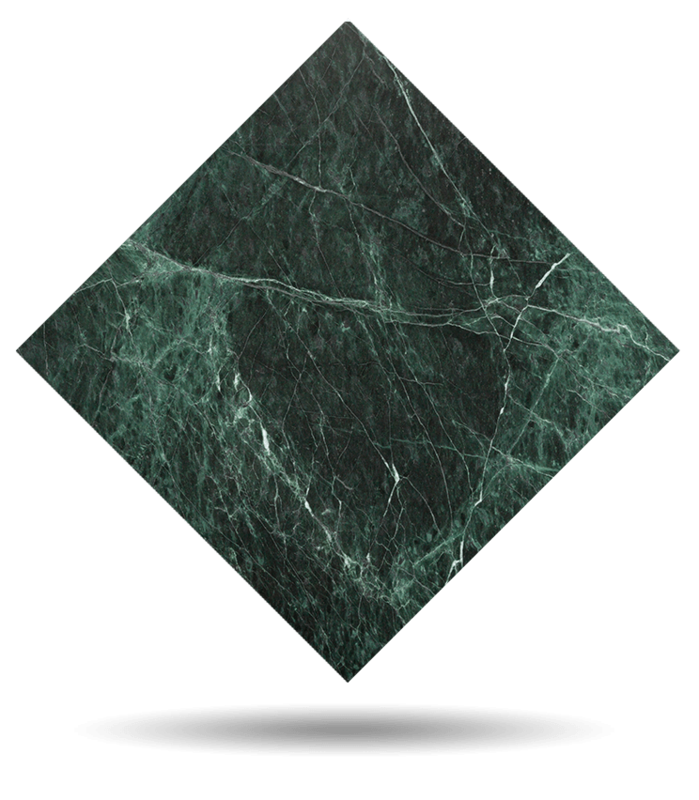 TINO offers Guatemala Green marble in any formats and finishes desired by the customer. Check maximum size per finish. For other finishes, please check availability and sizes.